I don’t know about you, but it usually takes me several grading sessions–often over several days–to grade a test or assignment, especially papers! I like to enter grades into the Moodle gradebook as I go. I write comments as well as simply entering scores, and I want to do that while the student’s work is fresh in my mind. However, I do not want the student to see the grade as soon as I enter it. I prefer to have the grades remain invisible to students until I have completed grading all of the work, at which point I will release the grades to all students. Sort of like handing papers back in class, except online. You can do this in Moodle with a simple setting in the gradebook! I recently read Sally Kahlenschmidt’s thought-provoking chapter on faculty development and technology in Gillespie and Robertson’s A Guide to Faculty Development. What is it that most helps faculty use technology in their classes? This chapters helps us all think about that. Much of this chapter really provided me with food for thought, both a faculty member and someone who works with other faculty members to improve their use of technology. So today, I’m sharing my notes in hopes they are of interest to others. I hope it inspires you to read the chapter in its entirety. Kahlenschmidt identifies “One of the top three challenges that faculty members encounter” as “the integration of technology into traditional teaching and learning” (259). Therefore, it seems to me that focusing resources in supporting faculty in this area is certainly worth it! With “technology” the author includes the broad range of technology from things faculty use in class to web-based tools. The “best” or most important technology is that which faculty need to meet the learning objectives with the student population in any particular course. Kuhlenschmidt identifies four tasks for people helping faculty face the challenge of integrating technology into teaching and learning. People respond to innovation (technology) in four distinct ways: explorer, pioneer, settler and those who stay back (260). Explorers are innovators who enjoy the pleasures of learning and risk. “They happily suffer the difficulties of adopting a tool… prefer to learn on their own… rarely attend development seminars” (260). Pioneers “wait until they understand and can make good decisions about the tool… are opinion leaders… is able to integrate new technology into pre-existing knowledge…will explain when and why a technology might be used” (260). Settlers represent “about 60 or 70 percent of the faculty” (260) and “are only interested in a technology to the extent it helps students learn or achieves a particular disciplinary goal, such as increasing majors” (261). They “derive little pleasure from experimenting and want a technology that works… prefer learning with and from others.” (260). They also prefer technology broken into steps and with a written handout. Those who stay back do so either because they are successful with how things are and see no need to change or because they are in a crisis that prevents them from devoting time to anything new. The first group often sees themselves as “guardians of that which time has demonstrated to be of value” (260). Training them hinges on helping them see how technology upholds a traditional value. The chapter contains some excellent guiding questions for faculty developers to consider when working with faculty and how to evaluate technologies as good strategies. These all hinge on considering the purpose (or objective) of the task in terms of student learning (262-263). Having the perspective to integrate these things! Faculty developers provide guidance in instructional design and knowledge of the technologies, including when a tool will not help a teacher achieve his/her goals for the class. Technology must always be connected to learning. understanding the ethical and legal use of technology. Just as teachers should choose technology based on how it will serve teaching and learning objectives in a course, those providing support to faculty should consider using technology in terms of how it will meet the goals of faculty development. “Any delivery system used for instruction can also be used for development and provides an opportunity to model thoughtful use of technologies” (268). This makes me think we should be using Moodle as the hub for our faculty development as long as we are using Moodle as our college-adopted LMS. The chapter also notes the importance of websites for updated information and newsletters combined with video. Also, is equipment available for faculty to load out and experiment with? Kahlenschmidt concludes by noting: “The key when working with technologies is starting with the problem to be solved or objective of the task and knowing the capacities of the target audience” (271). An excellent and informative chapter in a book well worth considering for anyone interested in faculty development! Kahlenschmidt, Sally. “Issues in Technology and Faculty Development.” In Gillespie, Kay J. and Douglas L. Robertson and Associates. 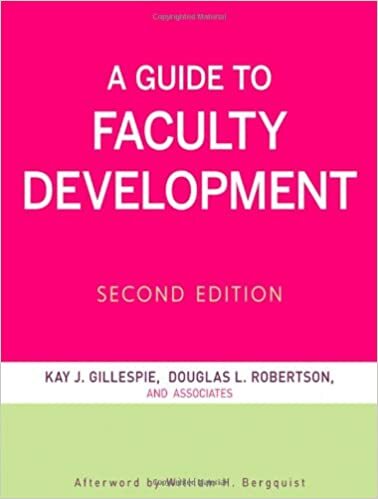 A Guide to Faculty Development, second edition. San Fransisco: Jossey Bass, 2010. 259-274. I am a fan of Alice Keeler’s blog, “Teacher Tech with Alice Keeler.” For terrific ideas about using Google products in teaching and learning, this is a great resource! I am also someone who has students regularly create online portfolios and projects. And since New Google Sites appeared last year, that’s been my go-to recommendation for student projects (I only recommend because if students want to use other web creation tools, I usually let them). New Google Sites is SO much more pleasant to use than Google Sites was–if you haven’t tried it, I urge you to give it a whirl. But before you do, check out this blog post, “9 Google Sites Tips.” It will make your experience even more smooth. Want to build quizzes or study guides around diagrams, maps, or other visuals? Check out the new feature of Quizlet (which has long has a strong flashcard offering) called Diagrams. Even if you don’t want to use this to create practices or assessments, why not encourage your students to do so? Images can be uploaded to customize the experience. A longer step-by-step video looking at this new feature. Lots to take inspiration from as we consider the creation of our course’s learning experiences. Academic libraries have largely stayed out of the textbook business because purchasing textbooks in a print environment does not make economic sense. Libraries cannot afford to purchase enough printed copies for all students. In an electronic environment, however, those rules no longer apply. If the library owns an ebook available to unlimited users, why couldn’t it be used as an alternative to a print textbook? At Hope College, Van Wylen Library owns or has access to over 500,000 unique ebooks. Many of those come from scholarly publishers like Oxford, Wiley, Sage, and Taylor & Francis and are available on an unlimited access model. Using these ebooks as textbooks is an access model labeled by some as “faux-pen”. Not full open educational resources (OER) like those found at openstax and OER Commons, but they are open to the Hope community. The quickest way to see if your college library owns an ebook version of a text you already plan to use in your class is to do a title search in the catalog. At Hope, you could do a title search in HopeCat, or I would be happy to search for your list of required course readings and report back to you on availability. A recent example from Hope of a library-acquired ebook being used as a textbook is the New Oxford Annotated Bible, required in both REL100 and REL221. When the bookstore ran out of copies, the library was able to purchase an ebook version, which has already been downloaded 8 times since we received it on September 11th. Another required reading (perhaps not available through the bookstore), linked through a Moodle course page, had 1808 downloads in September. I am not advocating for a wholesale switch to ebooks, but textbooks are expensive and I would like to make students aware of any library ebook availability before they purchased the print. As you are pulling together your list of textbooks for Spring 2018, please consider ebook availability for your students. If you are at Hope, feel free to share your list with me and I can let you know if there are options for electronic access that are free for your students. This is a thorough introduction to the basics. You can access it directly, or sometimes through your local library! Before you pay a fee for the course, see if your institution or public library has access to Lynda.com. On The Fence About Online Learning Programs? Read On! For many [students], the online experience can be far less alienating than in a conventional classroom. Whoa! I had not thought about that before. How can this be? 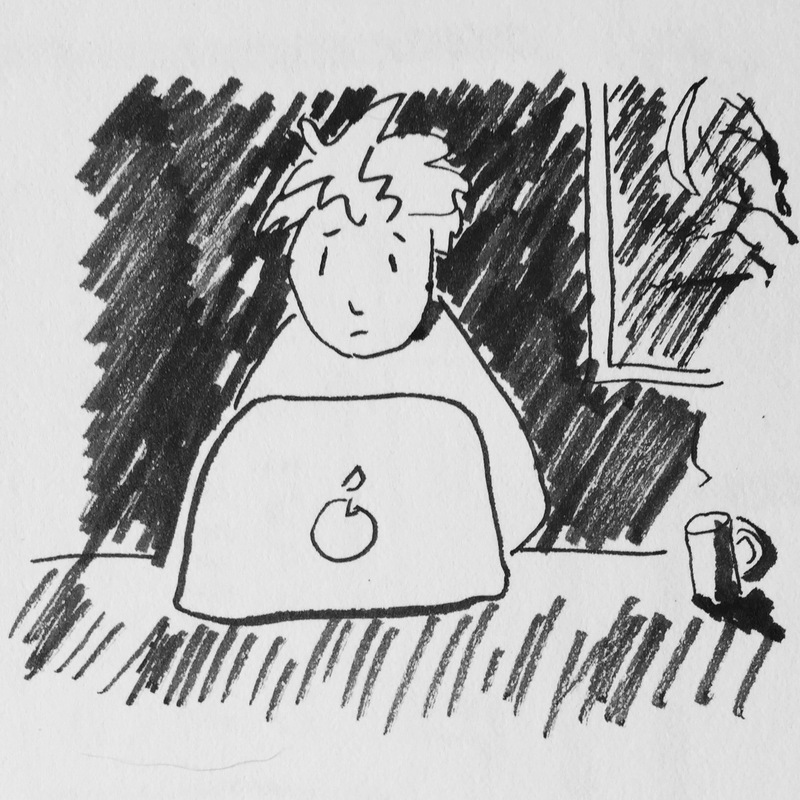 When most people think of online learning, the image that frequently comes to mind is of an isolated student facing a computer screen, entirely alone. This explanation fits my experience, as educator and learner. Physically alone, perhaps, but constantly engaged. The authors refer to “accumulated evidence from thousands of studies” which show that there is little difference between online and on the ground educational experiences, if these experiences offer the same quality of interaction (among students, between student and teacher, of student with the course material). And some students, it seems, feel more comfortable, less alienated, when interacting online. In particular, the online environment opens the educational experience up to a broader diversity of students and their voices. Check out this essay to find out more about online education and about the best practices to guide programs just starting to offer online courses to their students. Ubell, Robert and Frank Mayadas. “Migrating Online.” In Going Online: Perspectives on Digital Learning. New York: Routledge, 2017. 67-82. Posted on October 4, 2017 February 10, 2018 Categories EdTech, EducationLeave a comment on On The Fence About Online Learning Programs? Read On! Many of you, especially those whose students use a lot of data but perhaps struggle with how to make sense of it all, might be interested in a June 2017 update to Google Sheets. 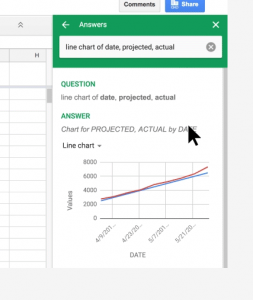 Google Sheets now uses “machine learning” to help users build charts to visualize data from spreadsheets. You simply ask Sheets to build the charts–using WORDS instead of formulae (which is music to the ears of an English teacher like me). 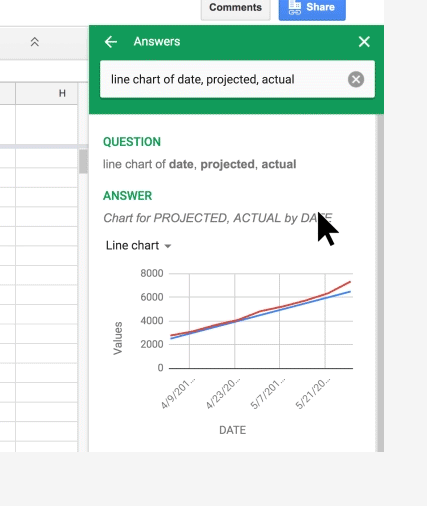 This new update to Google Sheets also includes automatic updating of any Sheets data which is embedded in other Google products like docs or slides. This means that if you are creating a presentation using data, and you update your data set in Sheets, it will automatically update the associated slide presentation as well. You can read more about it in detail here.